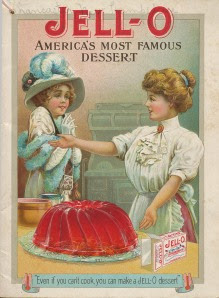 In the early 1900’s, gelatin desserts were not a new invention. 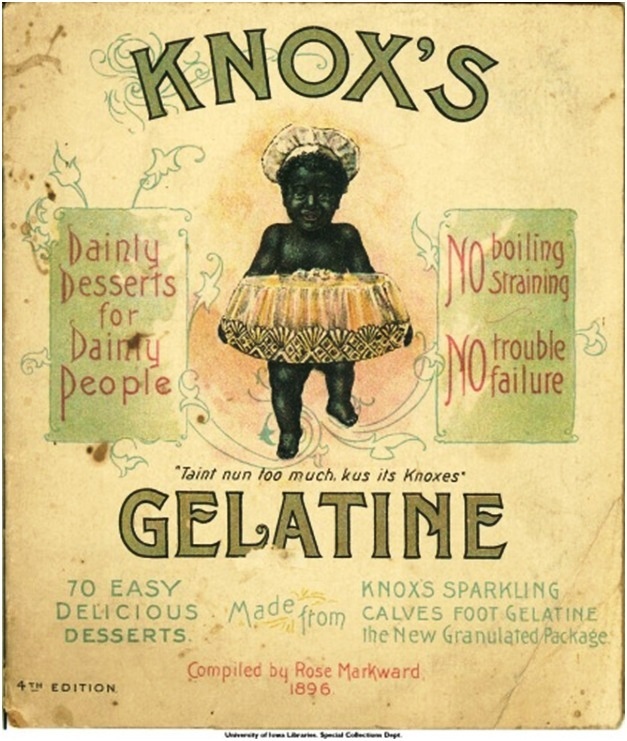 Housewives were already familiar with crystallized gelatin from Knox and Cox, which were first developed in 1890 by Charles Knox. The idea was to simplify a very difficult process (making gelatin required hours of work in the kitchen, boiling, cooling, adding ingredients, etc.) by offering ready-made gelatin crystals that would save housewives time and produce the same, if not better, results. Furthermore, the new gelatin became an affordable food item that anyone could make. But t hen Jell-O came along, with a great new way of preparing gelatin. It offered the same crystallized gelatin known by housewives, but with flavor. You see, making gelatin still required housewives to add flavor during the process and Jell-O now offered a very practical way to shorten and simplify it! It became Americas first packaged dessert mix. 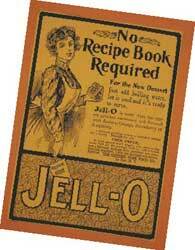 Since the great appeal to Jell-O was the fact that it was easy to make, many ads touted its virtue by saying things like “No baking! Simply add boiling water!” and “No recipe book required!”. That was in direct competition against the Knox product, which had already been distributing recipe cookbooks to housewives showing them how to make gelatin using their crystallized gelatin packages for some time. Sales, though, didn’t take off until Frank Woodward, Jell-O’s new owner decided to go the recipe book way much like Knox had been doing for years. He sent salesman door-to-door delivering the recipe books – for free – in a last attempt to jump-start sales. While Knox’s recipe books were already being offered at grocery stores (whether they were free or not is not clear), Woodward’s audacious move of sending his salesman directly to households was a winner. The wider reach (millions of households) of his recipe books ensured Jell-O became a recognized name and literally saved the company. In 1920 it seems Jell-O’s manufacturer (the Genesee Pure Food Company) had inadvertently bought a series of ad placements in the American Legion Weekly magazine. It’s not clear what made them do it, but they definitely regretted doing it. And so after running a couple of ads, they decided to change tactics and created a Jell-O ad featuring a recipe book offer. In a “letter to the reader” the magazine’s advertising manager explains that the magazine was in financial trouble and that it was trying to convince food companies to continue advertising with them. If only requests for the new Jell-O cookbook came in, they could then convince Jell-O to renew their advertising with the magazine. Whether the whole thing was true or not I don’t know, but what happened next is what is important. So many requests came in from readers for the cookbook, that Genesse decided to create a “reader-advertising contest“. The winner had his drawing published and won $200 (a good sum of money for that time). If this reminds you of companies asking customer to submit their own Youtube videos of using the product or creating their own ads, you now know who was the first one to do it! It’s interesting to note that over 100 years ago some of the same marketing tactics touted today were already being applied. What are some lessons we can draw from this story? Quality content can go a long way. Listen and engage your customers. Just because someone else has already done it doesn’t mean you can’t beat them. Any other lessons you think we can learn from Jell-O? Let us know! If you are interested in other lessons from the years gone by or would like to take a quick look at the evolution of content marketing, download the free eBook “A Brief History of Content Marketing”. Daniel is the CEO and Co-Founder of Aprix Solutions. Follow him on Twitter @danielkuperman.